In an IEMS Academic Seminar, David Zweig explains how China is hard-pressed to fulfill its pledge of becoming an innovative technological leader by 2020. With many of the nation’s best academics emigrating abroad, the Chinese government has launched almost a dozen programs targeting top Chinese academics with foreign degrees in a bid to stem the brain-drain and coax academic talent home. Zweig’s study examined over 1400 participants of the Hundred Talents plan, the Thousand Talents plan and the Changjiang Scholars program to rank scholars using an annual average impact factor (AAIF) score. A survey by the Organization Department of the Chinese Communist Party found various political or cultural problems with the Thousand Talents plan. Prof Zweig’s study showed that the most talented returnees under the Thousand Talents plan were unwilling to return full-time, preferring part-time work while keeping their foreign tenured positions. To its detriment, The Hundred Talents plan would recruit academics using only money as an incentive and produced the weakest publication record of the three. Prof Zweig believes that China’s institutional culture has undermined repatriation efforts and explains that universities run by presidents with overseas PhDs were more likely to hire academics with overseas PhDs. Ultimately, top-tier scholars are only returning part-time. And those returning to universities are better than those returning to the Chinese Academy of Sciences. Yet China has at least managed to engage their best expatriate academics in its own scientific development. Part-time returnees are “almost as good” as the best Chinese researchers still abroad—validating the “diaspora model” that the Chinese began to support in 2001. The research was done in collaboration with Dr. Henry Wang Huiyao, President of the Center on China and Globalization (Beijing) and Dr. Zweig’s MPhil student, Mr. Kang Siqin. To stem the brain drain and promote the reverse migration of high quality talent, the Chinese government has instituted almost a dozen programs targeting the top Mainland-born Chinese academics who have earned foreign degrees. But many believe that the very best and brightest are remaining abroad and not returning home. We have collected the CVs of 1400 participants in three major programs, the Changjiang Scholars Program (under the Ministry of Education), the Hundreds Talents Plan (under the Chinese Academy of Sciences), and the Thousand Talents Plan (under the Organization Department of the CCP) and, using the impact factor of the journals in which they have published, we gave them all an annual average impact factor (AAIF) score. We then compare the participants in three programs and find, first, that participants in the Hundred Talents Plan, under the Chinese Academy of Sciences, have the weakest publication record. In the paper, we suggest several reasons for this outcome. Second, we compare full-time and part-time participants in these programs, showing that part-time returnees in the Thousand Talents Plan, who are still fully employed overseas, are the best researchers as measured by the impact factor of their publications. We also collected the CVs of approximately 120 former Mainland Chinese, who now hold positions in the very best universities in the U.S., Britain, Canada and Australia and find that people who remain abroad, but do not join any national programs, are slightly better than even the part-time participants in these programs in the fields of Science and Life Sciences, and much better than the part-timers in Engineering. So, the best are indeed not returning full-time, and those who are returning to universities are better than those returning to the Chinese Academy of Sciences. But since the part-time participants are almost as good as the best Chinese researchers who have chosen to remain abroad, we can argue that, from the perspective of the "Diaspora Model," China is relatively successful in getting the best overseas Mainland-born academics to participate in China’s scientific development. 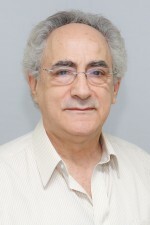 David Zweig is Chair Professor, Division of Social Science, and Director, Center on China’s Transnational Relations, HKUST. He is a Senior Research Fellow, Asia-Pacific Foundation of Canada, Adjunct Professor, School of Social Sciences and Humanities, National University of Defense Technology, Changsha, Hunan, and Vice-President of the Center on China and Globalization (Beijing). He has authored four books, including Internationalizing China: domestic interests and global linkages, and recently edited, Sino-U.S. Energy Triangles: Resource Diplomacy under Hegemony, with Hao Yufan. He is writing a book about China’s returnees. Kang Siqin worked at a Research Assistant for the Center on China’s Transnational Relations for four years and is currently an MPhil student in the Division of Social Sciences. Major problem slowing China's "reverse brain drain" is "institutional culture".